Flavouring agent in ready meals and instant soups. 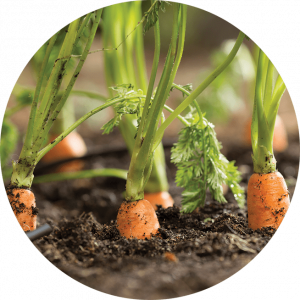 The Carotene found in the Carrot Essential Oil is a natural food color additive giving an orange pigment. For its antioxidant properties, Carrot Seeds Essential Oil is used in skin care formulation: from lotion to skin creams, it is an efficient anti-aging. Its content of Carotene is also used as a colouring agent for tanning products. Carrot Seeds Essential Oil is known to have antiseptic, carminative, depurative, diuretic, emmenagogue and vermifuge properties.